West Indies 315-5 (Chris Gayle 125, Marlon Samuels 101*, Tim Southee 3-55) beat New Zealand 260 all out (BJ Watling 72*, Kane Williamson 58, Ravi Rampaul 3-50) by 55 runs. Chris Gayle and Marlon Samuels hammered tons and set a difficult target for New Zealand who fought well but lost the match to West Indies in the end. West Indies amassed 315 runs with five wickets in hand at the end of the scheduled 50 overs and the innings of New Zealand was folded back for 260 runs with three overs to spare. 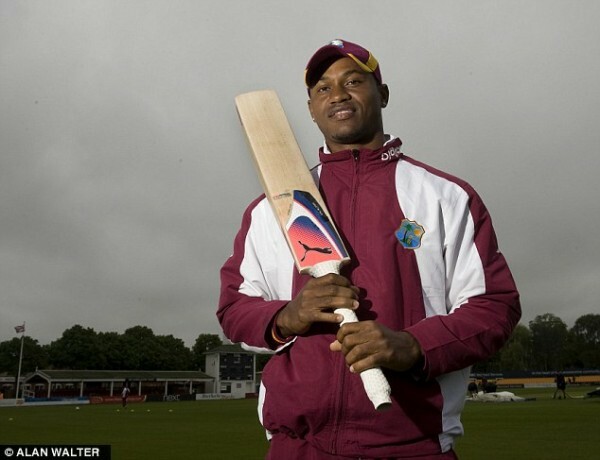 Marlon Samuels (West Indies) was declared ‘Player of the match’ for his all-round performance as he thrashed unbeaten 101 runs and held two wickets. The second One Day International of the five match series was played on Saturday, July 7, 2012, at Sabina Park, Kingston, Jamaica. Earlier, Kane Williamson, the skipper of New Zealand, won the toss and opted to field first. West Indies lost their first wicket at 10 in 3.5 overs when Dwayne Smith joined in with the attacking Chris Gayle. The latter punished Kyle Mills for three huge sixes in the fifth over followed by 11 runs in the seventh with another six and one four. The runs were flowing from the bat of Gayle and the Kiwi bowlers were at his mercy whereas Smith opened his account on the 12th ball with a four. Smith joined the show by collecting 12 runs in the 13th over with one six and one four and took the score to 98 in 18.1 overs. He was gone after scoring 24 runs as Marlon Samuels took guards in the centre and secured his end while adding few runs. 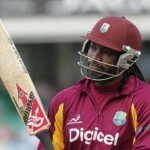 Gayle was the most severe of the two and rushed to his century on the fifth ball of the 30th over with a four. It was the 20th ODI ton by Gayle and he became the highest century scorer for the Caribbeans surpassing the 19 hundreds by Brian Lara. Gayle kept on torturing the rival bowlers and the score was enhanced to 227 runs when he was caught by Tom Latham at deep midwicket off Mills for a brilliant 125 scored off 107 balls with 9 lofty sixes and 8 fours. Marlon Samuels took over from there and got three consecutive fours in the 39th over as a couple of wickets fell in quick successions until the skipper Darren Samuels joined him. Both batsmen scored freely as Samuels fired his third ODI ton on the first ball of the last over with a single. He got his hundred after a lapse of nearly six years as the last century was scored by him against Pakistan on December 13, 2006, at Multan Cricket Stadium. Marlon Samuels remained unbeaten for 101 off 103 balls with 1 six and 7 fours, Sammy was at the crease for 31 off 21 with 2 sixes and 1 four. West Indies piled up 315 runs for the loss of just five wickets at the end of the 50th over. Tim Southee was the top wicket taker with three whereas Kyle Mills and Tarun Nethula picked up one wicket each. Rob Nicol and Martin Guptill initiated the innings for New Zealand and they started off well by compiling 9 runs in the fifth over with two fours. Nicol was caught at short midwicket off Ravi Rampaul for 15 as the total reached 24. Daniel Flynn came in the centre next and made his presence felt instantly by scoring 10 runs in the 9th over with two fours. Guptill got the same result in the next over and the first fifty of the innings was achieved as well. Flynn tried to force the pace but became the second victim at 62 in 11.5 overs after contributing 21 off 17 with 4 fours. Kane Williamson was the next batsman who came in the park and hit a six in the 16th over as Guptill kept on gathering runs from the other end. The fifty of the partnership was posted on board in the 25th over as Martin Guptill was caught and bowled by Marlon Samuels for 51 off 81 balls with 5 fours. The third wicket fell at 121 in 25.5 overs and four runs later, the new batsman Tom Latham was gone for just two runs as BJ Watling joined with Williamson. Watling accumulated 10 runs in the 30th over with two rolling boundaries as Williamson added 11 runs in the 33rd over with two fours. The latter reached his fifty on the third ball of the following over with a single and Watling got a six in the 37th over. The healthy looking partnership was broken after they contributed 70 runs in nine overs as Kane Williamson was declared leg before wicket off Rampaul for 59 from 65 deliveries with 1 six and 4 fours. BJ Watling was the only batsman who faced the Windies bowling bravely as the middle and lower order batting of the Black Caps collapsed. He remained unbeaten for 72 off just 62 balls with the assistance of 2 sixes and 4 fours as New Zealand was bowled out for 260 runs in 47 overs. Ravi Rampaul was the highest wicket taker with three, Sunil Narine and Marlon Samuels shared two each as Andre Russell claimed one wicket. West Indies won the second ODI by 55 runs and are leading the five match series 2-0. The third match will be played on July 11, 2012, at Warner Park, Basseterre, St Kitts.